This is a wind-up door chime that plays a Westminster Melody on a music box mechanism when the doorbell button is pushed. The music box mechanism was manufactured by Gueissaz-Jaccaro in Switzerland. 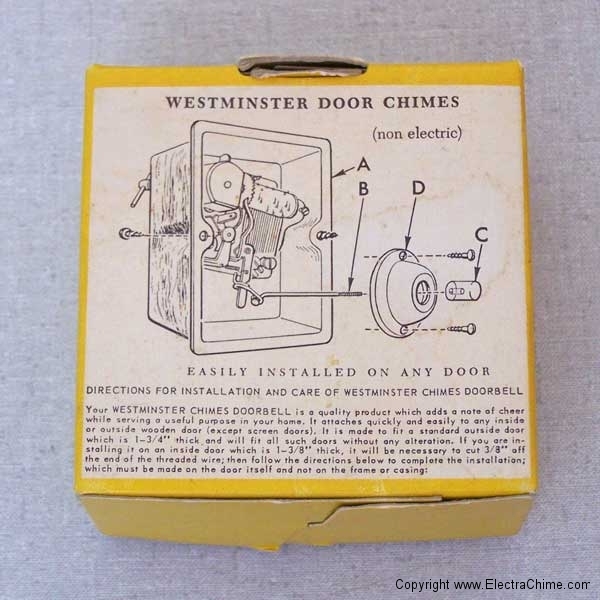 The Hop-A-Tune Westminster Door Chimes is unique in that it is the only known mechanical chime that plays a multi-note melody. 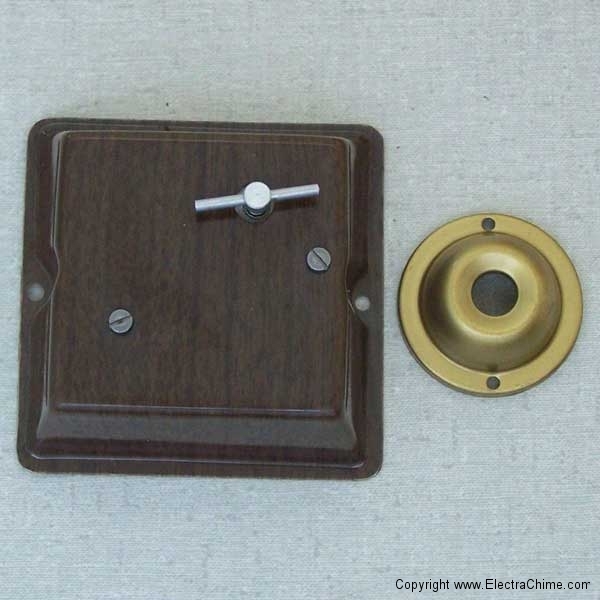 Clockwork doorbells were common before the advent of electric doorbells in the late 1800s. Clockwork doorbells almost universall struck a single bell repeatedly and were loud enough to be heard in the entire dwelling. 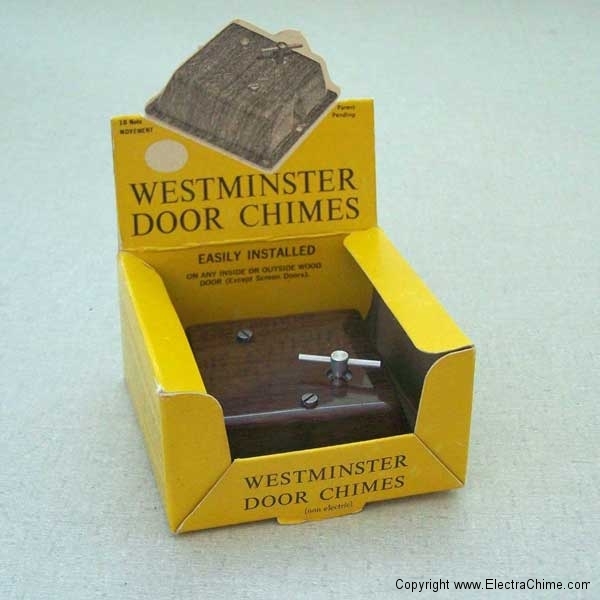 The Hop-A-Tune chime plays a charming musical rendition of the Westminster melody, however it is only loud enough to be heard by all but the most sensitive ears in a single room. The maker was apparently aware of this shortcoming as the instructions indicate this doorbell can be installed on interior, as well as exterior, doors. Perhaps this chime might have found acceptance in boarding houses or hotels as a more pleasant signal than a knock on the door. Another limitation common to all wind-up mechanisms is that they only play as long as they are wound-up. In this case, a single winding is good for approximately three pushes of the door chime. Chalk this one up as another good idea that never caught on. Materials Plastic housing with wood grain pattern. Brass doorbell button. Brass, steel and nylon gear mechanism. Steel music bars.